We know that a lot of apps run in any iPhone background. It doesn’t matter which iPhone model you have if you use some different apps on your iPhone they continue to run in your phone’s background. 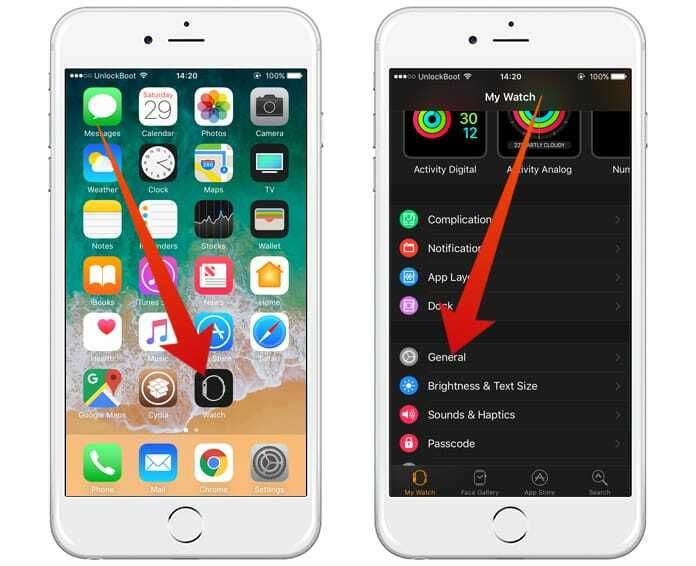 If you want to close an app on your iPhone, you will have to manually close it by double pressing the home button and then swiping up the app. Simply going to the home screen by clicking on the home button will not close the app. If you want to turn off background App refresh on Apple Watch read the steps below. Every time you use an app and press the home button, that app goes to the background. Now it doesn’t matter you use this app or not, it will be available in the background. Most of these apps are available in the background for a better runtime and dynamic usage of apps. Some of these apps, download data from the internet, some update their data and some load the latest actions you do with that application. Having too many apps in the background can cause your mobile to run slowly. It can slow down the performance of your phone as well as reduce the battery timing. If you notice that your iPhone’s battery is not working as well as it should, this could be background apps problem. Just like our iPhones, Apple Watches take a lot of data from the background and can less down the battery percentage. In the case, if you want to get the maximum results from your battery, you can refresh your Apple Watch background. Sometimes, when you are outside your home on a journey and want to get the maximum time out of your battery, you will need to enable the background refresh feature so that you will be able to get the maximum possible results. 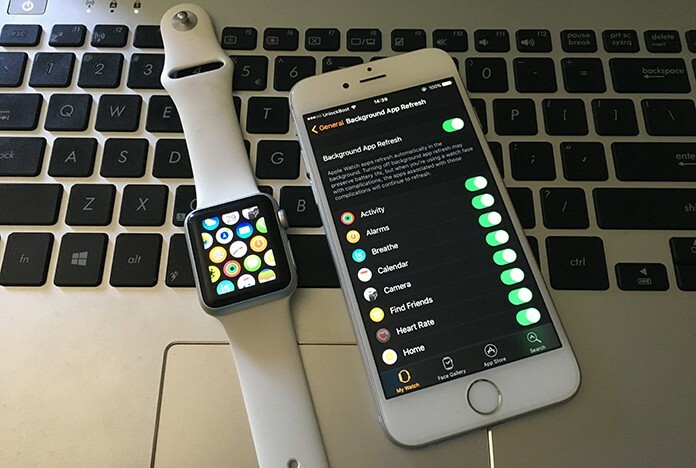 Background refresh is a feature that allows the Apple Watch to work smoothly while reducing downs the overall performance that results in more battery timing. You can perform this action on your iPhone. If you don’t know how to do this job, have a look at its procedure. 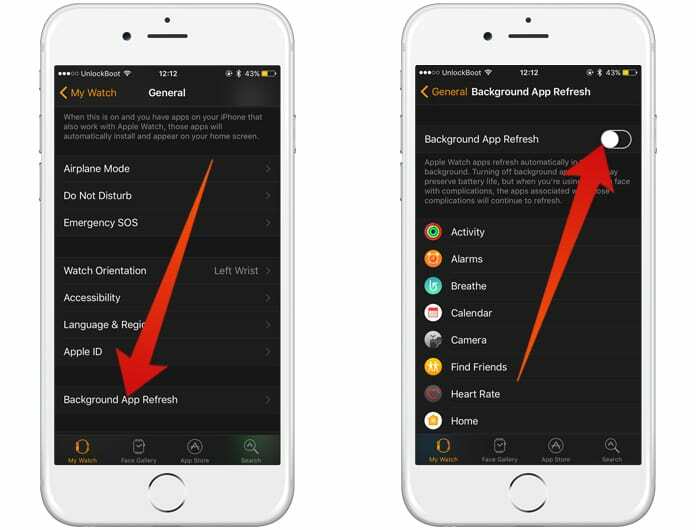 These steps will show you how to turn off background App refresh on Apple Watch easily. Step 1: First of all, launch the Watch app on your iPhone. Step 2: In the bottom left corner, you will see My Watch option which can be used to access your Apple Watch. Step 3: Click on the My Watch app and tap on the General option. Step 4: Here you will see Background App Refresh option, click on it. Step 5: Now touch the icon to toggle the option on. Step 6: Now the Background App Refresh feature is enabled on your Apple Watch. Now you can use the Apple Watch, and it will provide you the maximum battery timing.